In order to select an appropriate coiled tubing unit (CTU) and CTU provider for CTD operations, a few key steps must be taken, with focus on specific criteria to ensure a successful operation is conducted. All CTD projects must carry out a feasibility study before progressing. An initial trajectory plan must be made and the well modelled to assess the technical requirements of the CTU. The computational modelling carried out in the feasibility study defines the coil size, trajectory and lateral length trade-offs. The operator should weigh these factors against their impact on the well objectives. Once this decision has been made, the required coil specification to carry out the job successfully can be selected. This will be the first initial filter for coiled tubing unit selection. The feasibility study will have provided the basic coiled tubing specification, however, further detailed engineering planning will have to be carried out to determine the exact coiled tubing specification. This process will involve assessing what is required against what is actually available. At this point in time, consideration should also be given to the type of well fluids to be used, for example the H2S content. Having determined the size of the coil, the BHA provider will then specify which type of wireline is to be used inside the coiled tubing. Most BHAs on the market require heptacable and it is important that the correct specifications are outlined to the coiled tubing provider. 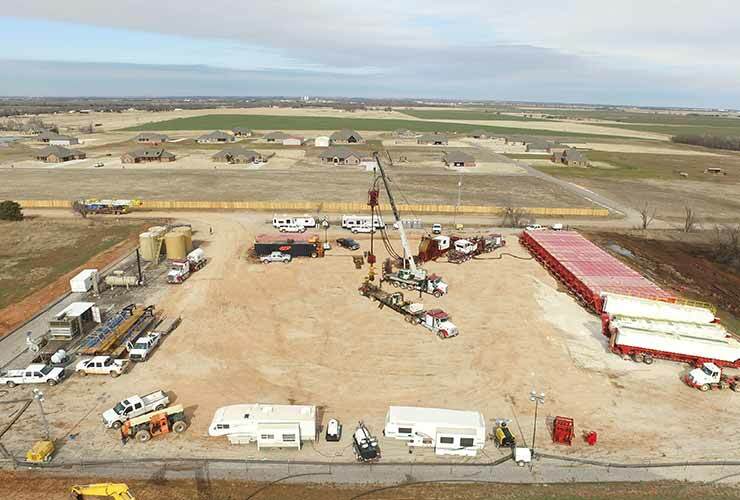 Doing so early in the initial planning stages ensures the availability of the correct wireline and CTU conversion equipment. The CT unit must be able to hold the required length of the coil specified to carry out the job. This includes any additional length needed to carry out fatigue and slack management cut backs. Coiled tubing drilling can require fine adjustment of the coiled tubing and, therefore, the optimum CT units are those with a fully electric control system for their injectors or units with electric over hydraulic. Alternative control systems can be used but are not optimal. The injector should be capable of providing a suitable overpull downhole in the event of a stuck pipe. There are three main types of deployment method: injector and PCE stack up suspended from a crane, tower system, and a mast based system. There are advantages and disadvantages to each of these. The type of deployment method to be implemented can have a significant impact on your CTU selection.